Drive to Fenghuang Ancient Town for its highlights, then continue traveling to Zhangjiajie National parks and Tianmen Mountain. 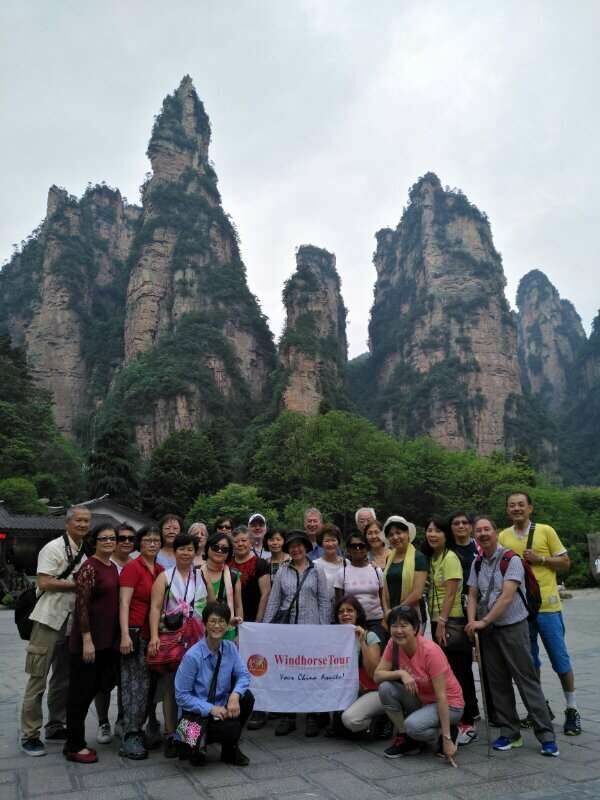 Fly to visit another nature reserve - Jiuzhaigou, enjoy its nature beauty with a full day sightseeing, then drive to visit Huanglong colored pools before flying to Chengdu for Panda base and Leshan Giant Buddha. Zhangjiajie and Jiuzhaigou National Parks. Guide - Nice character, helpful and punctual. Vehicle's Condition - Need larger luggage space. A letter variety of food. Guide need a letter knowledge of some destination sites. Need to provide a letter briefing at the start of journey eg. remind pax to bring raincoats, proper footwear, umbrella, etc. Helped us to understand many things of the culture and the people. Please confirm toliets are available on the boat during the Leshan Buddha boat ride. The Tianmenshan in Zhangjiajie. The funny and honest character of tour guide in Jiuzhaigou. Panda Research Center in Chengdu.